Serious Injuries include but are not limited to damage to the spine, spinal cord or brain; fractures to the skull or spine; blindness, paralysis, amputation, etc. 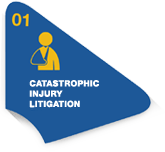 Catastrophic Injuries can result in permanent disability. A slip and/or fall caused by the negligence of another party can lead to serious injuries. 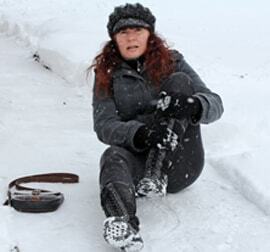 The consequences of these injuries can lead to costly medical expenses and/or time off work. If you have been injured in a serious motor vehicle accident, Kalsi & Associates can help you access your insurance benefits. 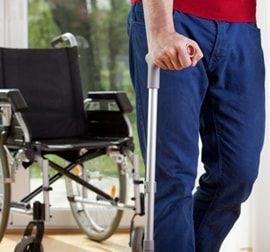 If you cannot work as a result of an injury and/or disability, Kalsi & Associates can help you access your disability benefits. Dealing with insurance companies can be frustrating. At Kalsi & Associates, we want to help. Serving clients throughout Ontario, Kalsi & Associates practice solely in the area of personal injury law. Our lawyers strive to maximize your settlement and handle matters as efficiently as possible so that you can focus on your recovery. 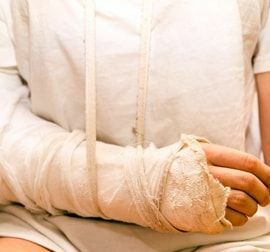 If you or a family member has been injured, obtaining legal assistance is an important step down the road to recovery. Injured? Car Accident? Call 1-844-905-2993 Or Click Here for free Consultation. Our team of legal professionals are able to handle various types of personal injury cases and insurance claims. We can help you with your : motor vehicle accident claim; long/short-term disability benefits; and/or slip and fall action. Our team of professionals can assist you with most types of personal injury cases and/or insurance claims including: motor vehicle accident claims; long/short-term disability benefits; and/or slip and fall actions. At Kalsi & Associates, we strive to protect the rights of our clients while remaining committed to justice and fair compensation. We want to protect your rights so you can focus on your recovery. 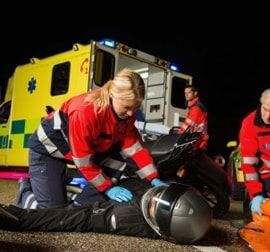 A serious accident can change lives in a matter of seconds. If you are facing a lengthy recovery, rehabilitation and/or time away from work, allow Kalsi & Associates to stand proudly by your side. Call 1-844-90-lawyer (1-844-905-2993) for your free consultation. A serious car accident can change your life in an instant. It may take years to recover from your injuries and/or return to work. At Kalsi & Associates we strive to get you the maximum compensation that you are legally entitled to. Call 1-844-90-lawyer (1-844-905-2993) for your free consultation. If you have been injured in a serious motor vehicle accident, Kalsi & Associates can help you access your insurance benefits. Dealing with insurance companies can be challenging. 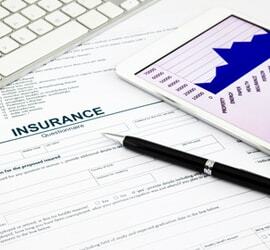 Often, insurance companies do not look after your best interest. Don’t deal with your accident alone. Call 1-844-90-lawyer (1-844-905-2993) for your free consultation. A slip and/or fall caused by the negligence of another party can lead to serious injuries. The consequences of these injuries can lead to costly medical expenses and/or time off work. At Kalsi & Associates, we strive to maximize our clients’ recovery.Call 1-844-90-lawyer (1-844-905-2993) for your free consultation. If you cannot work as a result of an injury and/or disability, Kalsi & Associates can help you access your disability benefits. Dealing with insurance companies can be frustrating. At Kalsi & Associates, we want to help. Call 1-844-90-lawyer (1-844-905-2993) for your free consultation. Serving clients throughout Ontario, Kalsi & Associates practice solely in the area of personal injury law. Our lawyers strive to maximize your settlement and handle matters as efficiently as possible so that you can focus on your recovery. We attempt to address all questions/concerns in a timely manner. Our lawyers, paralegals and legal staff are committed to providing you with quality service. Serving clients throughout Ontario, Kalsi & Associates practice exclusively in the area of personal injury law. Working with your best interest in mind, we strive to protect your rights, maximize your recovery and put you back on the road to recovery. We have worked extremely hard to make a difference in the lives of our clients. Positive feedback from clients and other lawyers truly means the world to us. Read what some of our clients are saying about our work. This is to sincerely communicate my gratitude to BK Personal Injury Law (Now Operating as Kalsi and Associates), specially to Mr. Bobby Kalsi and his team for efficiently handling my 'Slip & Fall' matter.